Brisket — a cut of beef from the breast or lower chest of the animal—is a mainstay in kosher cooking because this relatively tough cut of meat benefits from low, slow braising, which is a technique that is ideal for preparing Shabbat and holiday fare. It can be cooked well in advance of the Jewish Sabbath and reheated anytime. And because it is a large cut of meat, it is perfect when preparing for large meal gatherings. Don't skimp on quality. Buy the best brisket meat you can buy (In Israel, this is graded as meat #3) from a butcher you trust. Look for good fat marbling between the red fibers, which will improve the tenderness of the meat. Commit to cooking the meat slowly. Slow cooking is essential to all of the recipes below, and if you follow the instructions, they will give rich, flavorful meat. It is very important to slice the brisket correctly to ensure tender meat. Brisket must be sliced thinly and against the grain. If you aren't sure what this means or how to do it, study the technique before you try any of the following recipes. Though it's often thought of as holiday fare, brisket makes an excellent choice whenever you're feeding a crowd — or if you just want to have some tasty leftovers on hand for meals or sandwiches later in the week. 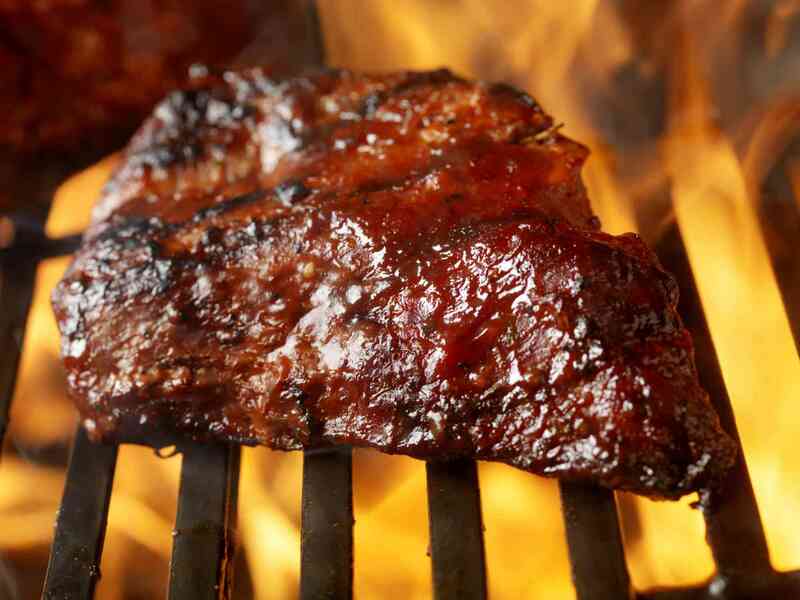 Cookbook author Ronnie Fein puts a new spin on a classic favorite by infusing her kicky barbecue sauce with fresh mango, ginger, and a touch of jalapeño in this recipe for brisket with mango barbecue sauce. If you like your brisket both sweet and savory, soda may seem like an unconventional addition to a recipe. But Coca-Cola is the secret to sweet and savory Coca Cola brisket, a "festive, fragrant, and flavorful" crowd-pleaser. This is a perfect recipe for the High Holidays, including Rosh Hashanah, Passover, and Hanukkah. This easy sweet and sour brisket recipe couldn't be easier. It involves simply marinating the meat in a virtually prep-free mixture of jarred sauerkraut, canned tomatoes, and brown sugar. 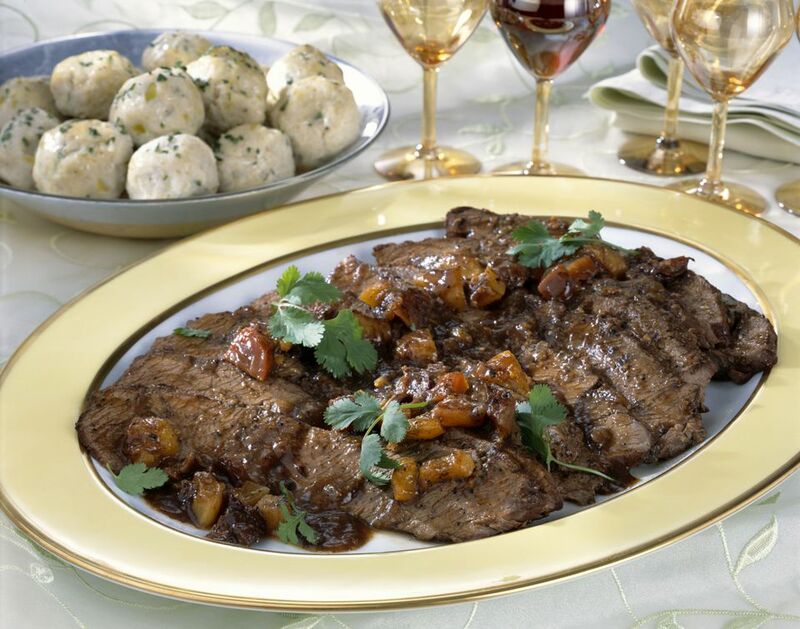 Follow the simple recipe and you'll be treated to a tender and delicious meat main dish that works as well for weeknight family meals as it does for Shabbat and holiday feasts.